Carlisle Academy’s Apprentice Program offers community members a valuable educational exchange based on a service-learning model. The Academy’s Therapy Program thrives in part because of the dedication of people who offer their time and talents to help our therapy students reach their fullest potential. The primary role of a sidewalker is assisting students in the Therapy & Adaptive Program by walking next to them during the lesson and offering varying levels of physical support as needed. Sidewalkers may also assist the instructor or therapist in carrying out activities during the lesson. Occasional help with facility and equipment upkeep is also needed. The primary role of a lesson assistant is to assist the instructor or therapist with the grooming aisle or activity room stations. 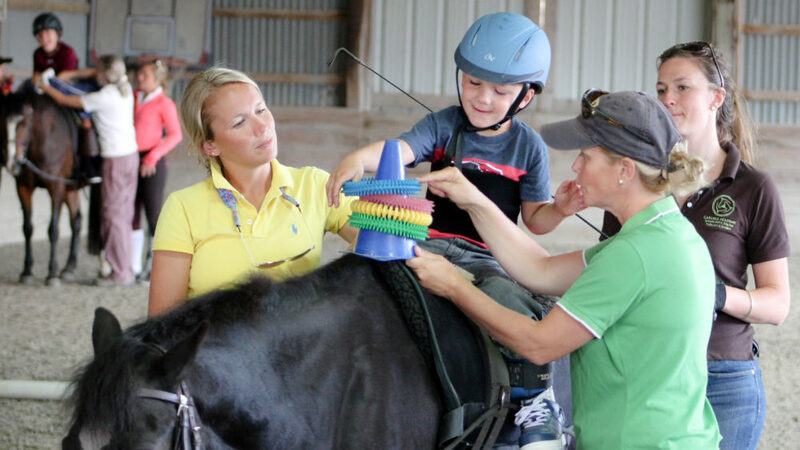 Occasionally the lesson assistant may be asked to assist with tacking or untacking a horse, fetching or releasing the grooming aisle pony, and aisle, arena or activity room set up or breakdown. Documentation regarding human and horse activity may also be assigned. Space is limited. 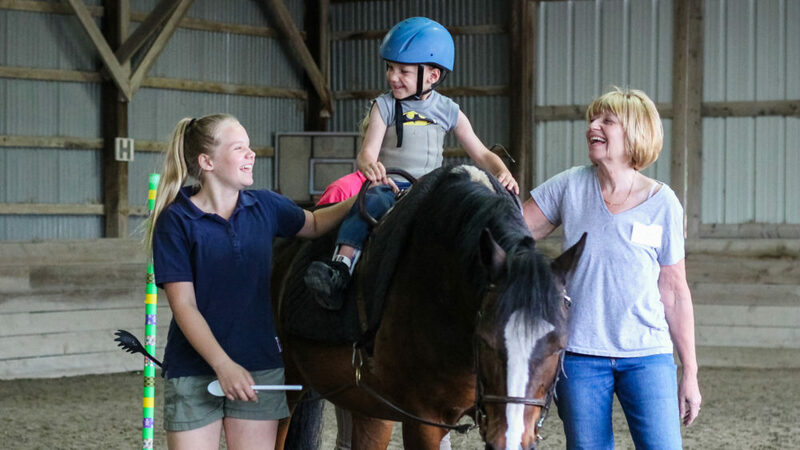 The primary role of an equine assistant is to assist with equine warm ups prior to lesson time, including fetching and releasing horses prior to and after warm ups or lesson, grooming and tacking, and horse stretches after work day. Equine assistants may also be asked to prepare or breakdown an arena for a lesson, clean barn aisle, tack and tack area, and record documentation related to horse use or activity assigned. Space is limited. Educational Newsletters: Sent periodically throughout the year, the email newsletters are meant to enrich and educate an apprentice in each tier of the program. Apprentice Socials: Held throughout the year, Apprentice Socials provide apprentices with opportunities to meet and socialize with one another in a casual atmosphere. Each Social will also feature a continuing education topic relevant to apprenticeship. Additional educational opportunities in the course of their apprentice schedule. Access to free auditing at ongoing Carlisle Academy clinics. Depending upon the Apprentice Tier, active apprentices receive discounts off recreational riding lessons at Carlisle Academy. Apprentices must have been actively participating in past six months or during the season in which you want to ride. To apply for the Apprentice Program, interested individuals must be at least 14 years old and complete an application packet. After acceptance into the Apprentice Program, individuals must attend a mandatory two hour training taught by Carlisle Academy staff. Wednesday, October 16 – What is Para-Dressage? For more information, contact the office at 207-985-0374, or email your inquiry to info@carlisleacademymaine.com.